Writing a story is a difficult task to carry out, nothing new there. Tell an engaging and moving tale that makes your audience feel and live the story, may seem like a piece of cake. On the contrary, it is hard to transmit feelings, to turn thoughts and ideas into words. Writing for video games is fairly complicated especially since it is rather a young storytelling medium and most importantly the concept of storytelling itself is vague here, the player himself is part of the story, helping to shape it. Naughty Dog, the most famous game studio based in Santa Monica has a huge and proved experience in the art of writing for video games. The Last of Us is one of the most acclaimed games ever, not only for its mechanics and graphics, but also for its moving and heartbreaking story. So Naughty Dog game directors Neil Druckmann and Bruce Straley have had a little help for their new title, Uncharted 4. However Josh Scherr and Tom Bissell on the team managed to avoid The Last of Us from influencing Uncharted too much so that the final result of Uncharted 4 wasn’t too dark. The relationship between Sam and Nate is the center of attention as far as the story is concerned. 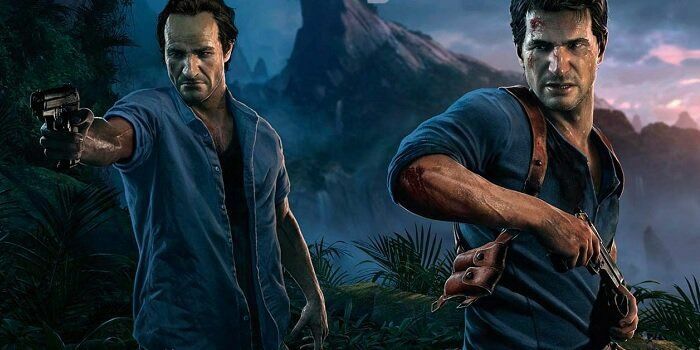 The characters are the focus of Uncharted 4, that seems to be more important than the search of pirate treasure. This is not the first example of a video game (or story, generally speaking) where the relationship between the characters holds the weight of the story. Nothing more beautiful and complex that seeing the evolution of the characters, trying to understand what the characters are actually, living and thinking. Find the balance between the dark & the light side of your story. Write a lot, more than you will need. You never know when you will find the inspiration. You will need a lot of material, at the end you can choose what you include in your final story. Sometimes what you thought was useless, could actually be what engages your audience more. Test different approaches for different parts of your story especially if you are not limited by content be it voice or graphic, etc. Develop complex characters for your story – your player will connect or identify with your character so allow them to be as engaging as possible. Keep your story simple, a complex character will stand out. Build a complex based game scenario, engage your players with complex characters and show the consequences of the player’s choices with ChatMapper!